BUT HEAR ME OUT! I’m not saying you have to be super rigid or extreme about your getting ready routine, but why not try to implement a more sustainable option every few days? Or even better, make it your daily routine if it works well for you! I started using a compostable toothbrush a little less than a year ago and have since gone through a few of them (your toothbrush should be replaced every couple of months!). They are gentle on my sensitive teeth, but also clean the teeth and gums very well. The best part? I can reduce my disposable plastic consumption! Gondola brushes are one of the best deals out there for bamboo toothbrushes, and you can find them on Amazon. I started using bamboo toothbrushes after I saw reports of plastic toothbrushes (and other plastic) that ends up polluting the environment--floating in oceans, littering beaches, and ending up in the bellies of marine creatures. Plastic doesn’t fully decompose, it just degrades, eventually getting cut up into smaller pieces of plastic called microplastics-- Yikes! 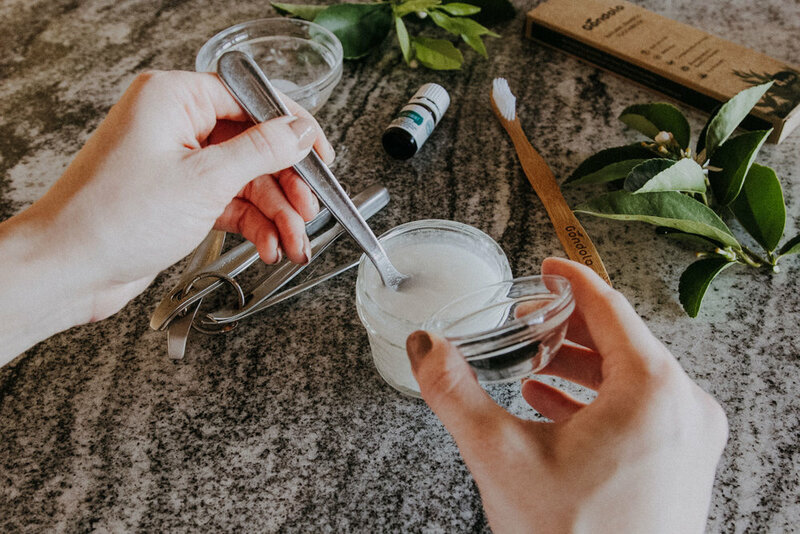 I also use homemade “zero-waste” toothpaste and supplement this with natural toothpaste products which can be purchased at most health food stores. 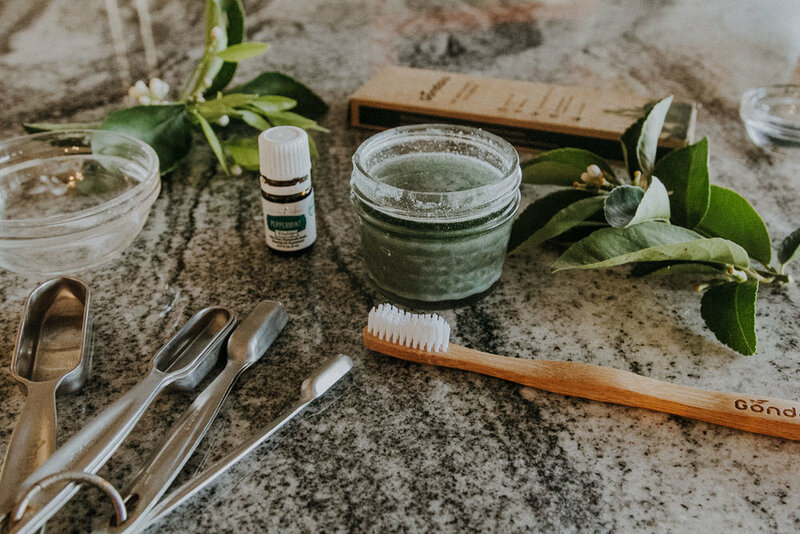 Since you hopefully are taking care of yourself to brush your teeth two to three times a day anyway, it’s nice to switch up your toothpaste products a bit for some variety, and have your store-bought brands last a little longer. Plastic toothpaste tubes are one more piece of plastic that ends up in the trash once all the toothpaste has been squeezed out. The very few that you do find with metal-based packaging are extremely difficult to recycle. 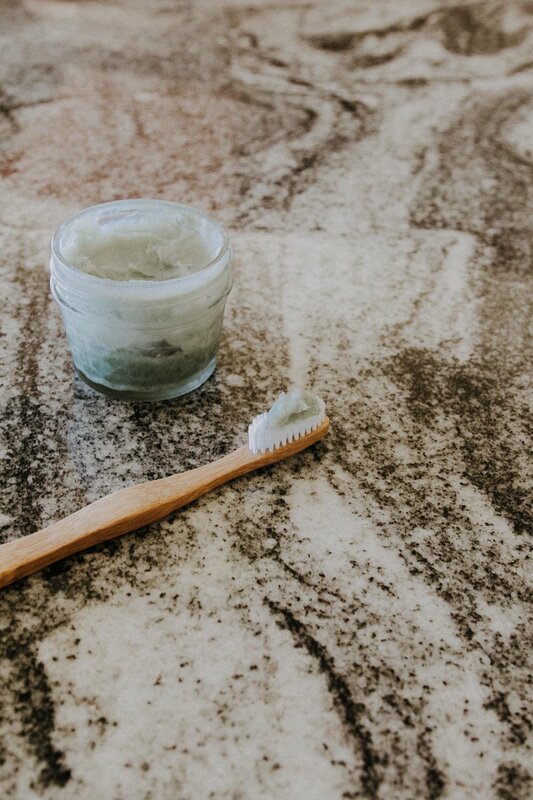 Fair warning… zero waste toothpaste will not have the same creaminess and smoothness as store-bought brands, but they it is still very effective in cleaning those pearly whites! The baking soda/coconut oil based ones, like mine, may have a little salty taste as well. 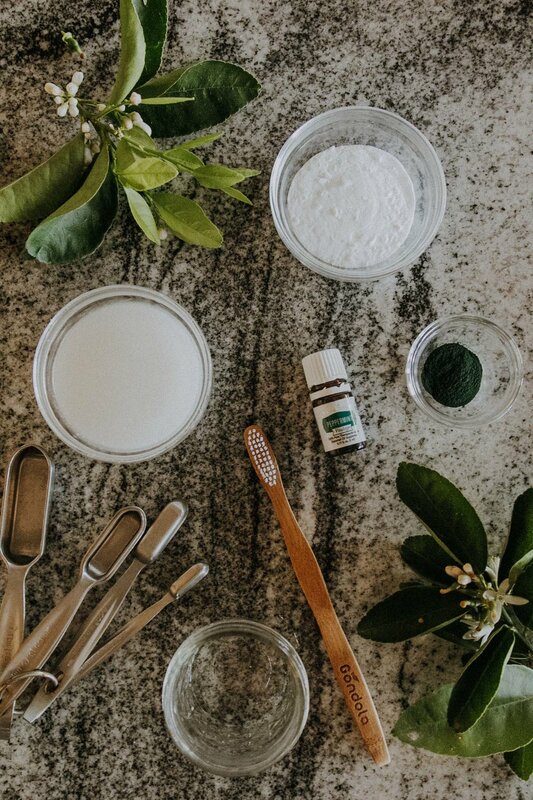 Spirulina powder assists in the re-mineralization of teeth but also gives it that nice minty green color. This recipe is refreshing, but go in with an open mind and remember this is not your typical toothpaste! So without further adieu, here’s the recipe! - Combine ingredients in small container. I used a tiny glass mason jar. - If coconut oil is crumbly or not completely smooth, melt over heat or in microwave. 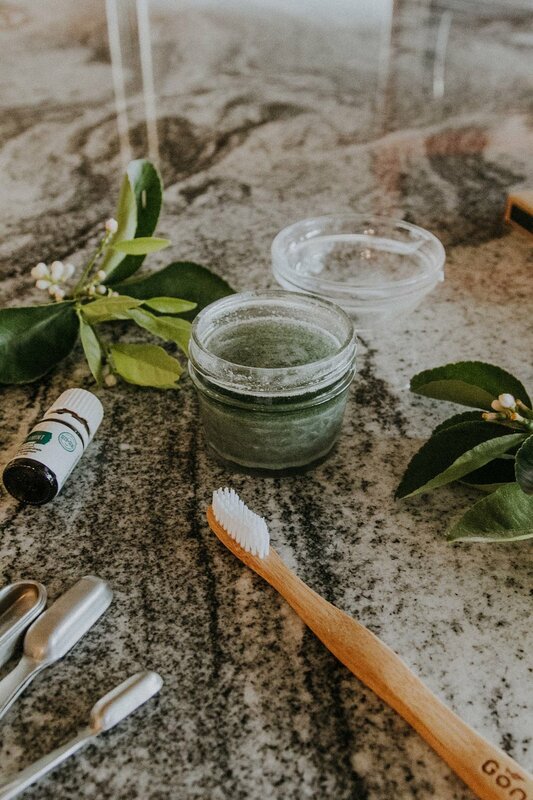 - Apply a small amount to your bamboo toothbrush, and brush brush brush all tooth surfaces, and concentrate on the gumline--for two minutes--then rinse – you know the drill! TIP: You can use a small metal spoon or wooden scooper to apply toothpaste. Don’t dip your brush in the paste directly… that’s how you can spread germs! You can also transfer your mixture to a reusable squeeze tube if that makes it easier. Hope you enjoy!